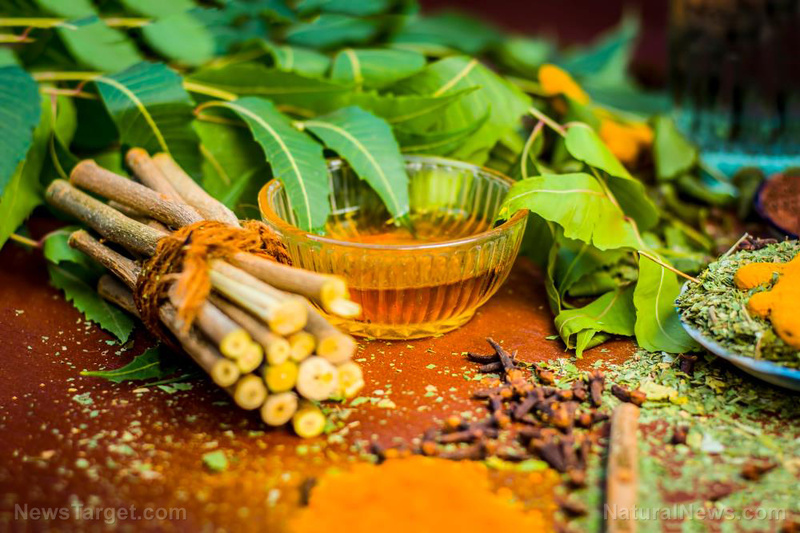 (Natural News) The ancient Indian healing art of Ayurveda roughly translates to “the science of life.” An Ayurvedic diet follows the principles of Ayurveda to help people achieve balance in their overall health and well-being. It’s not just about what you eat, but your entire manner of eating. Eating isn’t merely considered a form of physical nourishment, but also as an experience in itself. Trying an Ayurvedic diet might sound difficult, but there are a few easy tips to help you get started. Know your dosha. The three Ayurvedic doshas are Vata, Pitta, and Kapha. Vatas tend to be creative, intense, or expressive. Pittas are often considered intelligent, joyful, and driven. The characteristics associated with Kaphas are being calm, loving, or lethargic. It is good to know your dosha, but you don’t have to be limited by it. It is not an end-all, be-all of an Ayurvedic diet. Other factors to consider are your age and how certain foods make you feel. Make eating an experience. Don’t just eat to satisfy hunger. Eat to fully appreciate the food before you. Eat with your loved ones to sustain strong social connections. Eat slowly to savor the taste of the food but not too much that your food gets cold. Avoid other distractions and focus on the meal. You should be able to eat mindfully and with concentration. Incorporate the six rasas into your meals. The six rasas or tastes are sweet, salty, sour, bitter, pungent and astringent. By embracing a variety of flavors, you can satisfy all your different cravings. Traditional Ayurvedic meals often begin with a sweet fruit, followed by a salty seafood dish. You can then eat a sour citrus fruit and end with a meal that has pungent onions or peppers, and bitter celery or kale. Finish off your meal by drinking an astringent tea. Rest and digest. Only eat your next meal once your previous meal has been digested. Ayurvedic guidelines suggest not to eat within three hours of your last meal. At the same time, try to avoid going without food for longer than six hours. Your breakfast should be modest, but your lunch should be larger and more satisfying. Depending on how hungry you are, you may choose to eat dinner or forgo it completely. Snacks are discouraged, especially at night. These guidelines are meant to help support digestion and healthy bowel movement. Eat local foods. One of the principles of Ayurveda is fostering good social connections. Purchasing food from your local farmer’s market allows you to support your community and get to know it better. It is also a good way to get fresh produce and unprocessed foods that are free from chemicals and preservatives. Furthermore, you can also learn to grow your own food and share your harvest with your family. Don’t consider it a “diet-diet”. It bears mentioning again that you shouldn’t be limited by your dosha. Eliminating certain fruits and vegetables entirely just because they are not favored by your dosha could cause you to miss out on essential nutrients and have your diet backfire on you. The principles of Ayurveda are not supposed to hold you back. They are meant to help you learn how to eat intuitively. If you want to learn more about other healthy lifestyle choices and diets, you can read more articles by going to Slender.news.